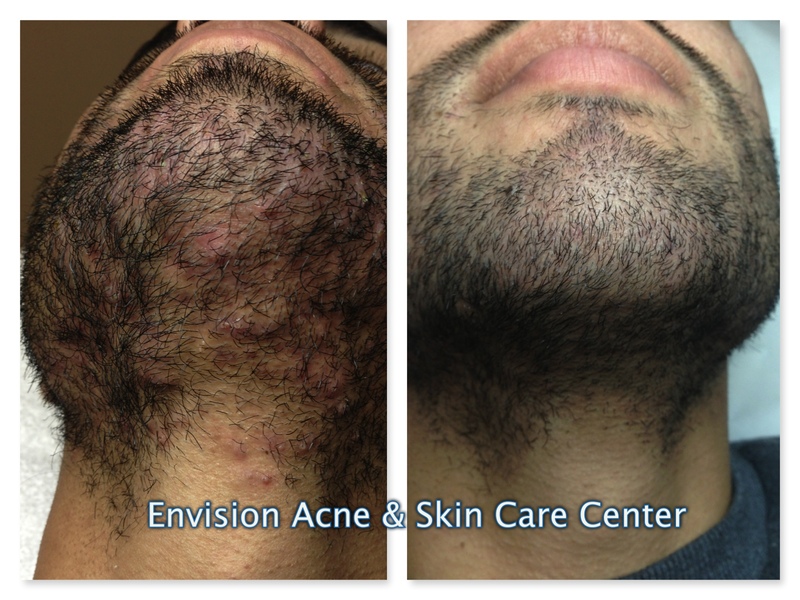 “I have dealt with acne for about 4 years. A lot of times I didn’t feel comfortable or confident in my own skin, and I would sometimes feel embarrassed to go out. Before I found Envision Acne & Skin Care Center I tried many different topical over the counter products and prescription medications such as RetinA. It worked in the beginning but eventually I would just break out again. 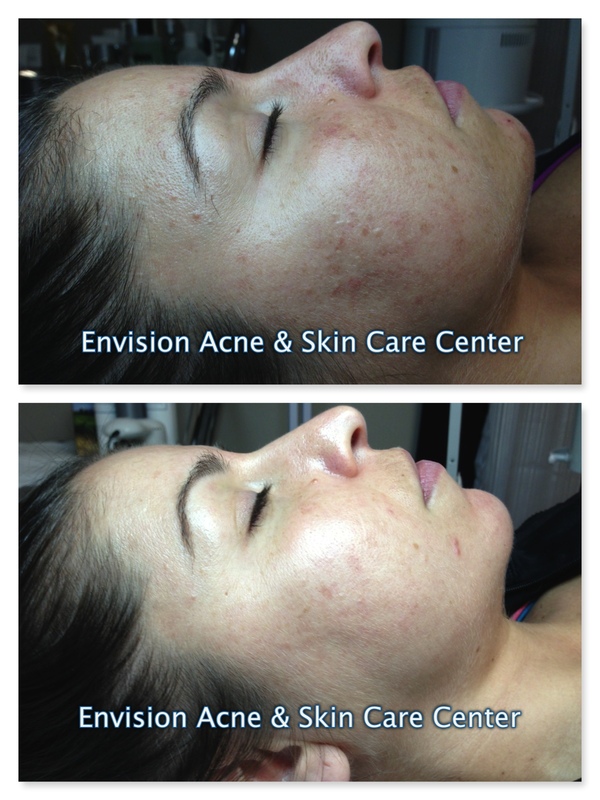 After working with Envision Acne & Skin Care Center for only 3 months my skin has had a huge improvement and definitely cleared up. Now I feel more confident and never have to worry about people staring at the acne on my face. I would definitely recommend the Acne Free Skin Program. “I had been dealing with acne off and on since my late teens. At its worst it greatly affected my lifestyle. I would not attend events, family gatherings, and didn’t socialize with friends because I was embarrassed about the way I looked. I had tried just about every product on the market from drug store products to those advertised in infomercials and nothing worked. I also tried many prescription products including topical treatments, several antibiotics, and prescription vitamins. Sometimes I would see short term improvement but inevitably my acne would always return. 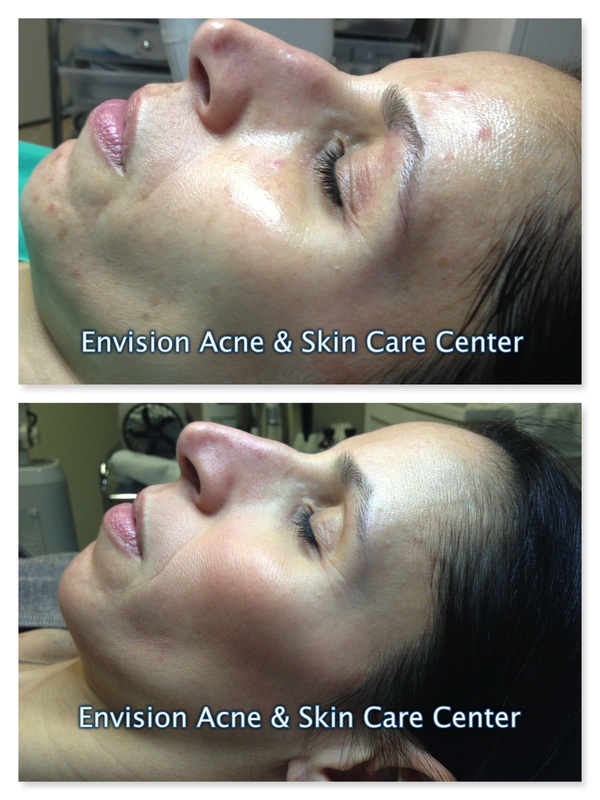 After my first treatment at Envision I noticed a change in my skin right away. It started to look and feel healthier and there was noticeable improvement with my acne and especially my scars after each treatment. After about three months there was no evidence that I had even had acne and my skin has continued to be acne free ever since. Envision has not only made me feel good about my skin but has made me feel good and myself again. I am more confident now and I want people to see how beautiful my skin looks. 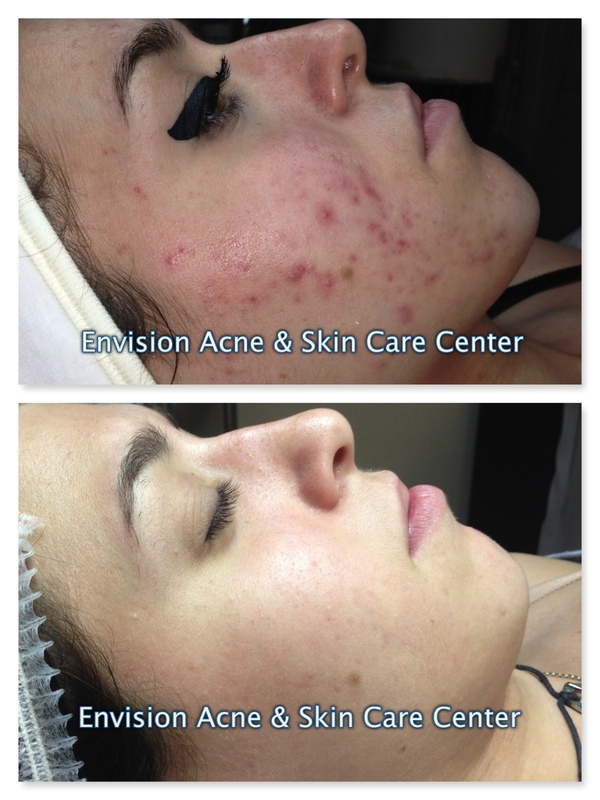 I would highly recommend Envision Acne & Skin Care Center to anyone who struggles with having clear skin. They will guide you with everything from what you eat to what products to use and will be there to help you achieve the beautiful skin you never thought you could have! Sigh! I don’t know where to start. It seems like forever. I’ve been dealing with acne ever since I was 12 years old. I remembered how it was a distraction for me to play and pick at my pimples, but I didn’t know how it would have affected my life in the long run. Growing up having a face full of acne and blemishes has impacted my life tremendously. I had and still dealing with low self-esteem because of the blemishes. I was never comfortable with looking at myself in the mirror or having someone looking at my face directly. I never used to consider myself pretty. I used to reject any compliment anybody would give me because I looked in the mirror, all I could see was acne and dark spots. Before started working with Envision Acne & Skin Care Center, I had tried every medicated cream, lotion, soaps you can thinking of. Every over the counter products anybody would recommend I would try. but none of them ever worked. I would get little change but nothing significant. the acne would still come up. When I heard about Envision, it was supposed to be the last attempt I would have made regarding treatment. I was about to give up on the acne. Thankfully I started seeing improvement little by little after each visit. After my 3 months treatment, I was very impressed with the result. my face started clearing up and I was free from reoccurring acne. After following her regimen and advice to readjust my diet, Nikolett gave me hope and I start feeling comfortable with looking at myself in the mirror. I would highly recommend the center to anybody who is battling with acne. With their help, advice and expertise and also dedication on our part to follow the regimen, anybody can have a clear beautiful skin and be free from acne. “When I started working with Nikolett my acne was really bad. I almost gave up. I did not think it would ever go away. I did not feel beautiful and I was embarrassed to let anyone see me without a ton of makeup on. I tried every product on the market, but nothing worked. My dermatologist put me on a prescription which helped a little, but it stopped working after a while. I was also worried about the side effects of being on medication for a long time. 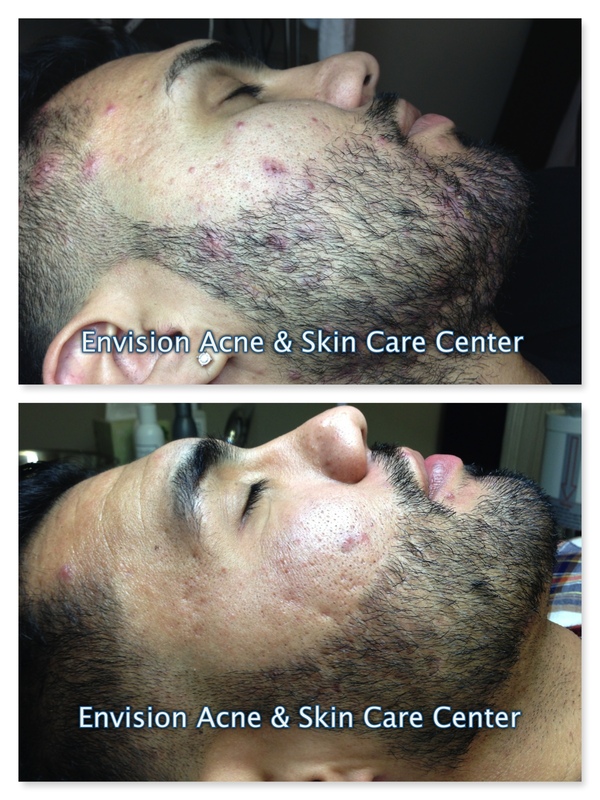 “Before I started to work with Envision Acne & Skin Care Center I suffered from acne for about 20 years. I would decline social events as a teenager and avoid seeing my friends and family as an adult because I did not want others to see my skin. When I would go out, I used to use my hair and makeup to hide my acne. I used Clearasil, alcohol, SeaBreeze and St. Ives products as a teenager. As an adult, I switched over to Proactiv and Neutrogena in addition to birth control (FYI – I was a sucker for trying new products but they never worked for me and are either too numerous to list or I can’t even remember all the products I’ve used). My experience with these products is that my skin would clear up temporarily but the acne would return. I was in a constant cycle of breakouts. I’ve been to 5 dermatologists in my life to seek treatment other than a prescription but found no such support or guidance. I turned to indoor and outdoor tanning as a last resort, which made my skin and the scars even worse. After working with Envision Acne & Skin Care Center I’ve made healthier lifestyle choices in my diet, vitamins/supplements, and yes even my laundry detergent! Due to the Acne Free Skin Program I’ve become much more knowledgeable about how the skin is affected by everything. What all this equated to is less stress, better energy, more confidence, and most importantly much clearer skin, fewer breakouts (even during my cycle), decreased hyperpigmentation and scarring, almost no more picking of my skin (no more obsession), and RELIEF!!! I’m glad to say no more tanning either which was really difficult for me because I enjoyed it so much. The Center has given me faith in a product line again and trusting someone with my skin. There is so much wrong information available accompanied with cunning marketing that it makes choosing the right products and the right path difficult. 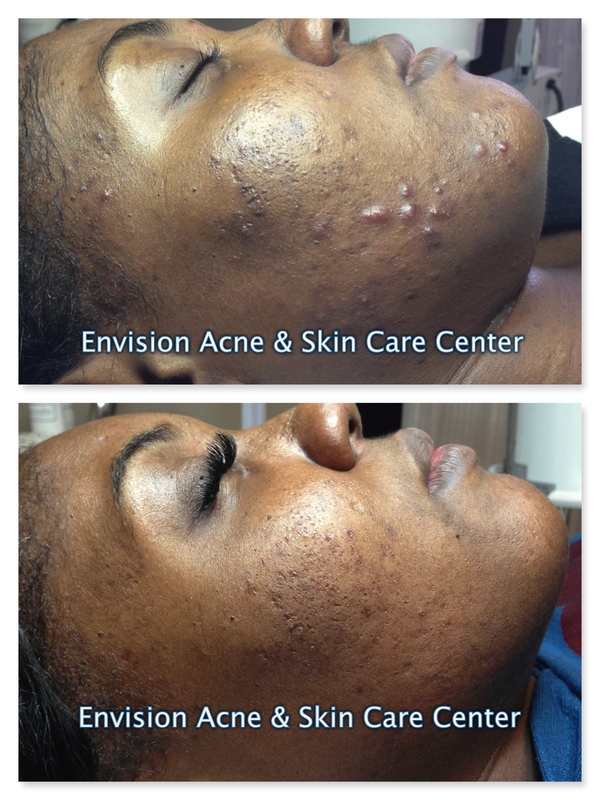 Would you recommend Envision Acne & Skin Care Center to someone who is suffering from acne and looking for a solution to clear, beautiful skin? I’ve been dealing with cystic acne for 7 years and the last 3 years it has gotten severe and embarrassing. My chronic condition with cystic acne not only flared on my face but on my scalp as well. It affected me so much that it altered my lifestyle in such a negative way. I saw myself little by little not leaving the house for any recreational activity. It was beyond embarrassing to know people were looking at these big cysts on my face and jaw line. However, that was not the worst part of my case – the worst part was the pain I had on a daily basis with these cysts on my face and scalp. It got to a point that I could not look at myself in the mirror without my self-esteem hitting rock bottom. I can say I saw about 10 different dermatologists in that 7-year span and they all prescribed me the same type of treatment, which always had something to do with some antibiotic. In result of being on long term tetracycline for about 2 years straight, I started to notice my body becoming immune to it, therefore, I would go back to the doctor and they would just prescribe me with a stronger antibiotic. After some time, my body could not digest food that well. I started to have major stomach issues on top of my skin issues – so you can pretty much say I was in a rut at this point of my life due to a domino effect with all these antibiotics. You name the antibiotic that fights bacteria in the body and I have taken it. I’ve tried every topical cream under the sun and none will have an effect on my skin. It seemed like after taking so much antibiotic my body was rid of the good bacteria in my skin so therefore it was vulnerable not only on the outside but on the inside. Our bodies always need a balance of good bacteria and bad bacteria in the body (intestinal flora) to function properly and as soon as this is out of whack, the immune system starts to plummet along with your skin. Your skin is the reflection of your body’s toxicity. I found out about Envision’s services one day on Groupon. I got sick and tired of seeing the “best dermatologist” in NJ. They all would tell me the same story but just in different ways – basically, any treatment had to do with the long term antibiotic. After reading up on Nikolett and her services I was intrigued and desperate for some type of relief since of all the pain I’ve endured for months at a time. At first, she knew I was a tough case (or should I say her toughest case yet) and we both had our doubts if her treatments would work or not. After the first 3 weeks of her treatment, I started to notice the cystic acne inflammation go down little by little, therefore, I stayed diligent with whatever she would recommend for my treatments. The best thing about Nikolett’s treatments is that she goes the natural route as opposed to the conventional route which in the long term does more damage to you. She recommended I take vitamins and stay away from certain foods that make you break out (especially if you are acne prone) along with her treatments which in my opinion helped out wonders. In the end, it took a good 6 months for my face to clear up substantially. If it wasn’t for her I honestly do not know what I would be doing right now. 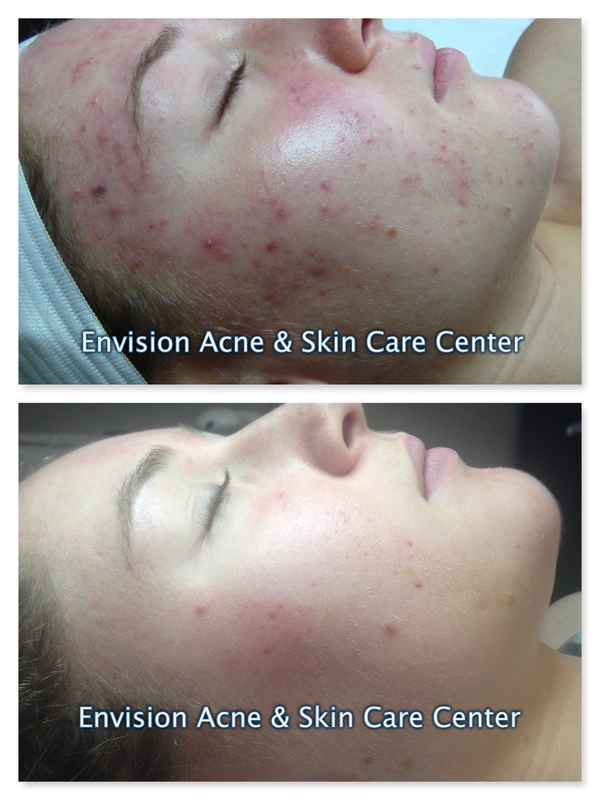 I would strongly recommend Envision Acne & Skin Care Center to anyone who has tried working with a dermatologist with zero results. If you start to think that all doors are closed for clearer skin think again. She truly was a blessing to my overall skin health. Ps. if you are acne prone person you have to be very mindful of what you eat because it can affect you more than you think. With a clean diet and treatments from Envision, I promise you will be more than satisfied with the results and will be on the road to clearer healthy glowing skin. She takes a lot of pride in her work with complete compassion and empathy—just like antibiotic feeding patient doctors? Not so much.